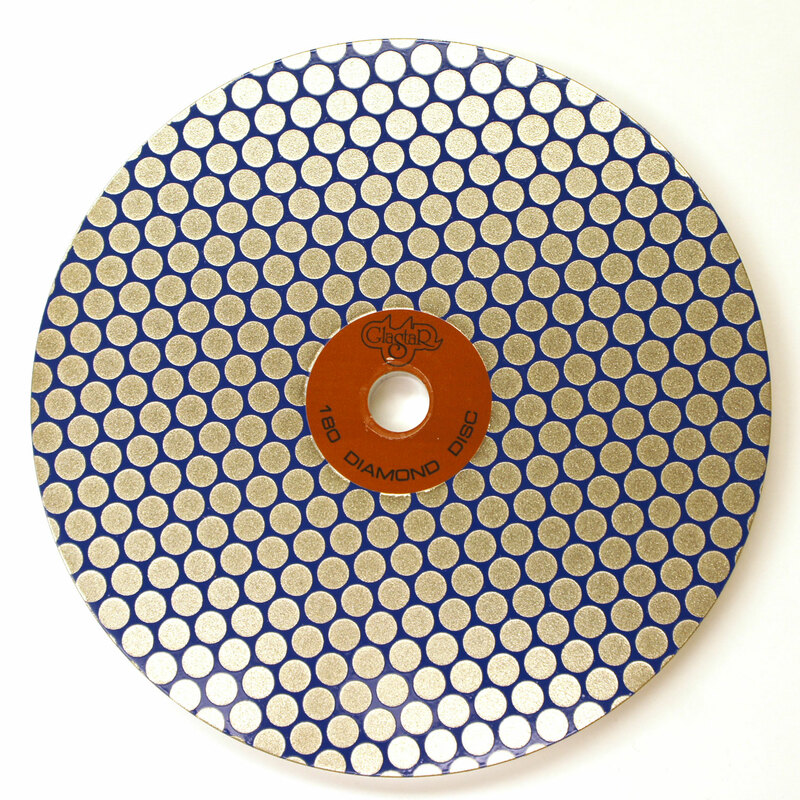 Do It Quick with the Glastar Disc Grinder! 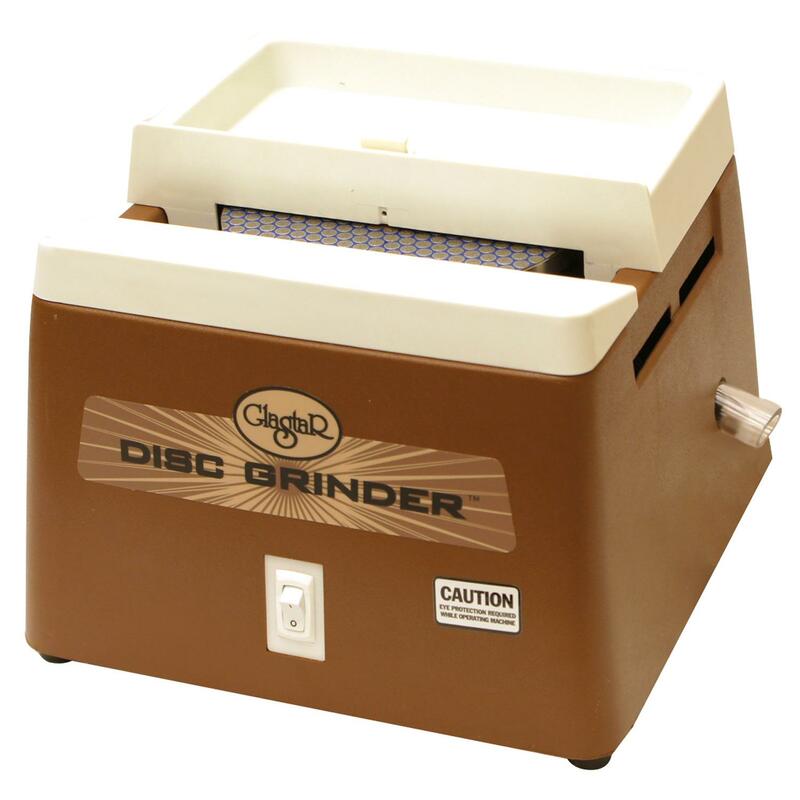 The Disc Grinder is specifically designed to save time and guess work when grinding straight edges. 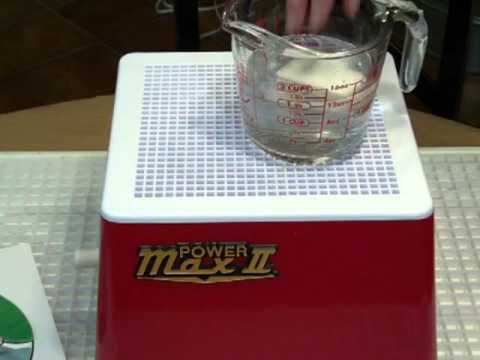 High-performance disc grinder saves time. Perfect for creating boxes, lampshades and panels. 1/9 hp motor rotates the disc at 3650 rpm. Features a versatile 6" 180 grit diamond disc, water supply basin, splash guard and 15 degree bevel guide. 5 year manufacturer warranty.